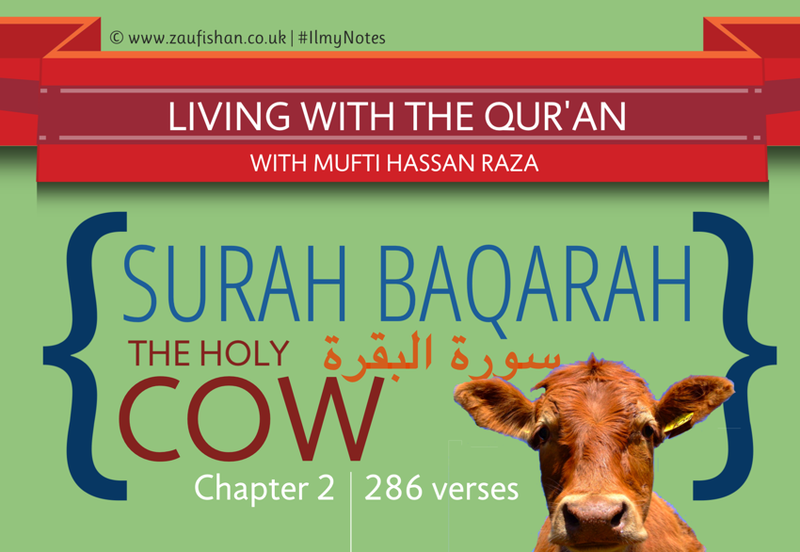 Read on quran.com, Surat Al-Baqarah, The Cow (read part 1). Chapter 2:286 verses. Ruku 10 mentions Allah’s command - don’t accept some commands and reject others. Fulfil the commands. Ruku 11 mentions the Jews rejecting the Prophet (peace be upon him) and their wrong doings, e.g. worshipping the calf, slaying prophets sent to them. People claim piety but their actions don’t back it up. Allah reminds the Jews of previous prophets he sent: Musa, Isaa and now Prophet Muhammad `alayhum salam (upon them be peace). And Allah is questioning why they do not listen? What is wrong with you!? Jews replied saying ‘nothing reaches our hearts as they are covered’. They were arrogant, stuck up. Allah reminds them again, why are you denying the truth that has come to you through Rasool-Allah saw? You cannot claim piety is you are not pious, if you are so pious why did you kill prophets? Why did you worship the calf? We learn Jews loved this life even more than the people who attached equal partners with God, committing Shirk (Mushrikeen). Another claim that human beings make is: ‘I don’t want to go there because such and such a person is there.’ The Jews said we do not accept the Qur’an because Angel Jibraeel is bringing it. Allah says whoever is an enemy of Jibraeel or the Prophets will be punished. And Allah will be YOUR enemy! Very serious! Jews had broke the covenant and rejected their book. When people don't want to accept the Quran because of the archangel Jibraeel they are ignoring heavenly teachings; the Jews had started learning magic instead which is similar to the events after Prophet Sulayman's demise. → LESSON: Don’t throw the Qur’an behind you. Don’t ignore it or reject the messages revealed. This is what the Jews did. When corruption begins they begin doing evil things like magic. But Allah is most powerful. These people are doing these things for a small profit, they sell their faith but will face punishment. (2:103) ‘And if they had believed and feared Allah, then the reward from Allah would have been [far] better, if they only knew’. Ruku 13, 14 is telling us to be careful with speech as Allah commands the Jews to choose the correct words before speaking. Select your words with thought. Don't use the "wrong" words, which indicates not to always follow your desires. No person will go to paradise if they follow their desires. Following you desires eventually corrupts you. The corrupt mentality is explained here. Some people despite being good will mock the prophets and try their hardest to bring you back to disbelief. In the end Jews and Christians believe only they will enter Heaven. The Muslims claim this also. No one will enter Jannah if they desire Dunya. It’s only through Allah’s mercy we get into Heaven. Corrupt mentalities stay the same; even centuries ago the ‘bad guys’ existed. They will try to cause corruption on earth. Jews and Christians argue with each other. Talk is cheap. But you have to work hard. The duty is to convey the message. → LESSON: "Indeed, the guidance of Allah is the [only] guidance. "- Message for the Muslims and the Jews. The Qur’an is the PROPER guidance, anything else will lead you astray. Ayah 124-128: Ibrahim as was tested by Allah and completed the task. Allah made him the leader of the people. And those who follow him (children). Allah rewards the hardwork in tests. Ruku 15 is about Prophet Ibrahim `alayhis-salam building the Kabah. DU`A’ FOR PROPHET MUHAMMAD. Ayah 129: The Du’a of Ibrahim was for a Rasool to became a leader of the people, from his own progeny. "I (Muhammad) am the Du`a’ of Ibrahim as. and Isaa gave glad tidings to me..."
Whoever turns away from Ibrahim’s deen is foolish. Ayah 135 & 140: The people would argue saying Ibrahim was a Christian, or a Jew. Ibrahim is a Muslim! He is a leader in this Dunya and he will be a leader in the Akhirah also. Ibrahim passed the same Deen onto his children. Allah is giving condolences to Rasool `alayhis-salam that if the people do not listen it is not the Rasool’s fault. Each individual is responsible for himself. Prophet Ibrahim was successful in being tested and then rewarded with leadership. He was in charge of building the Ka`bah in Makkah, and his supplication for Prophet Muhammad was accepted. The Prophets will not be questioned about who accepted and who did not accept their message. It is our own duty. The Prophet is only a messenger. Don't blame others, those who follow the book properly they are the true believers. Those who don't are losers. Ruku 16 tells you will be judged on your actual deeds, not your paths. Good people care about their children as well. They encourage to worship the one God. People are responsible for their own actions. The changing of the Qiblah direction is highlighted because residents in Madina turned to face Makkah, so Imaan is mentioned for Salah. Leaving Salah can make you lose faith. The lesson is the importance of unity. those who receive the previous books recognised the characteristics of the final Prophet but still rejected him (peace be upon him). 2:142 -The fools (idolaters, hypocrites, and Jews) will say to the Muslims, why have you turned your faces away from the Qibla in Jerusalem to the Kabah? 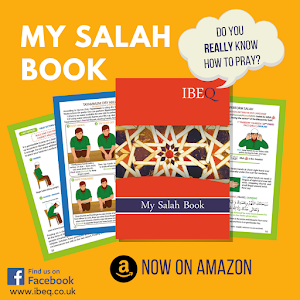 A BRAND NEW QIBLAH! Ayah 144, 149-150: Rasool-Allah hoped Masjid Al-Haram in Makkah would become the Qibla, and it did as Allah revealed to tell Muslims to face towards the Ka`bah, wherever they are on earth. This is an abrogation. → LESSON: Also where ever you face there is Allah’s mercy. It is not just about facing the Qibla. Allah swt’s Rahma is everywhere. Ayah 154: The Martyrs are alive, refer to them as the living. Ayah 155: Allah swt says he WILL test us, with: Fear, Hunger, Loss of wealth and food and lives = so what should the believer do? Be patient ‘Bashiris-Saabireen’ (2:155). Blessings (salawat) are on those people who wait out difficulty and keep living. Allah will show us His Mercy. → LESSON: Accept that YES you will be tested, but be patient and you will receive Allah’s barakah on you. Always remember Allah in good and bad situations. That is complete faith. These Ayaat (2:159-163) sternly warn against those who hide the clear signs that the Messengers were sent with, which guide to the correct path and beneficial guidance for the hearts, after Allah has made such aspects clear for His servants through the Books that He revealed to His Messengers. Hiding knowledge or truth is a major sin. Sacrifice in Allah’s way is a very high rank. Hazrat Umme Salmah said this when becoming a widow and then getting married to Rasool-Allah. Heaven & Earth - Night & Day . Ships which sail on a benefitting sea (think fishing…). Winds that are controlled and send information underneath the clouds. (2:166-173) Shaytaan is a clear enemy, and the guidance is clear. Ayah 172-173: The Halal foods are also mentioned as Shaytaan tried to misguide the people in thinking a certain camel's milk was haraam. Don’t follow Shaytaan’s steps, he will always misguide you. Allah also reminds the people not to follow forefathers (this was their custom). MUHAMMAD IN TORAH (2:174) ‘Verily, those who conceal what Allah has sent down of the Book.’ Meaning the Jews who concealed their Book's descriptions of Muhammad. Then Allah reminds us of the torment of the next life, and how what we assume is a small bad deed is actually a terrible thing in reality. Think! Ayah 177 Ayat ul-Birr : What is ‘Birr’? Righteousness is believing in Allah and the “Arkaan ul-Imaan” = “Imaan’e Mufassil” = “The 6 Articles Of Faith”. AND Birr is giving up wealth despite loving it. AND Birr is in those who pray consistently – not part-time. AND Birr is in those who give Zakat properly. AND Birr is in those who keep their promises. AND Birr is in those who keep patient when they lose their job/poverty. AND Birr is when they have a type of battle. → LESSON: These are actions that define piety. If we do these, we will be righteous too and become people of Birr. FASTING RULE Ayah 183: Fast, like people who fasted before you… To gain what they didn't gain: TAQWA. Fasting rules of travelling, ill etc are mentioned. Refer to verses 183 onwards. RAMADAN Ayah 185: The Qur'an was revealed in this month. Cool. → LESSON: don’t abuse your power. Allah says he is near and will respond/listen whenever you call. Every single time. Ayah 186: Du`a’ is also considered to be worship. Duas are not wasted. Ayah 187: Money ethics. Learn business tips here. The new moon (Hilal) is a sign to make Hajj. 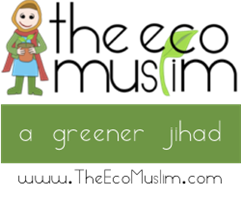 JIHAD of Badr battle Ayah 190: Fight fairly, equally, lawfully. “Kill them where you find them” = for that one time in the battlefield. “Do not fight at the Haram mosque – unless they start it”. “If they fight you, kill them – because they are disbelievers” (and tortured Muslims). But remember… “Fitnah” (causing tribulation) is worse than killing. So if they stop, stop. Ayah 192: If they stop, stop. Ayah 193: Fight on the battlefield to establish proper worship in everyone. If they stop, stop. HAJJ RULES Ayah 196-203: Detailed Umrah and Hajj rules. Ayah 204: Watch out for the sweet-talkers. They are messing with you in the guise of Allah-lovers. They cause corruption. If you say “Taqi-Ullah” = Fear Allah as a warning, they take pride in their sin. Ayah 207: A good person “sells himself” to please Allah. Ayah 208: ENTER ISLAM COMPLETELY, AND PERFECTLY. Shaytaan is your clean, visible enemy. (2:209) So if you deviate, Allah is Wiser. 2:211 Ask the Children of Israel how many signs of Allah they got. ISLAM (the faith) CAME FIRST 2:213 Mankind was one religion. Ayah 214: Do you think you can enter Paradise without being tested? Allah asks rhetorically. In the Makkan boycotts/torture, Muslim s asked “When is the help of Allah?” Allah replies, “Inna nasr-Allahi qareeb” – the help of Allah is near. Allah's response is for everyone who needs Him. JIHAD of Badr battle. Ayah 216: You hate fighting [and other things], but there’s good in it for you. Ayah 217: Fighting is Haram during Hajj season.